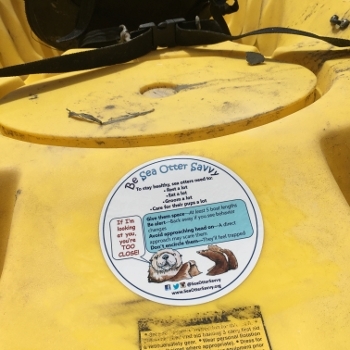 Our watercraft stickers are designed as a way for kayak, stand-up paddleboard, or electric boat rental customers to take a sea otter savvy reminder with them even after they've left the beach or dock. 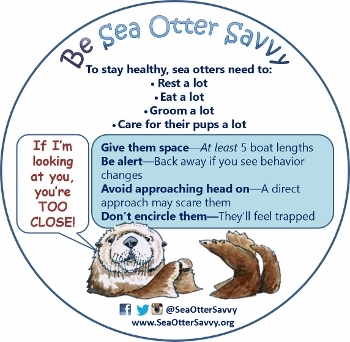 These appealing stickers are provided free by Sea Otter Savvy to cmmercial, private, and educational outfitters—just send a request to . 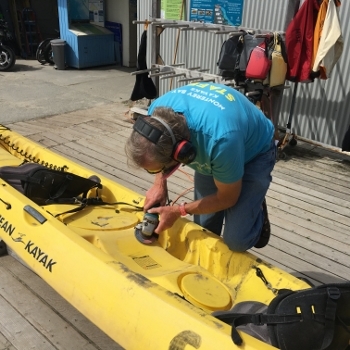 Are you ready to apply our Sea Otter Savvy stickers to you kayak or paddleboard fleet? 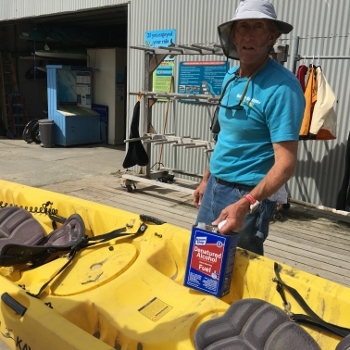 Just a few simple steps can assure stronger adherence and assure the stickers remain tightly attached to your boats. Step 1: Identify location for placing the sticker. 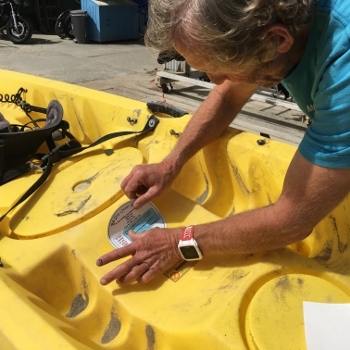 Choose places where the sticker will be easily seen by the paddler, while also considering the potential for wear and surface smoothness. Stickers will not adhere to textured surfaces or those coated with wax or UV protectant. 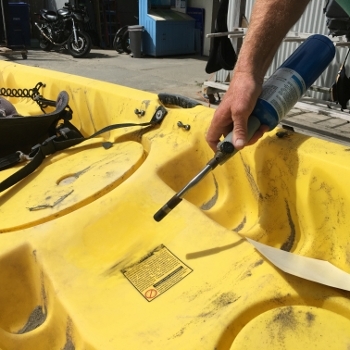 Step 2: Clean the surface thoroughly with denatured alcohol to remove dirt, sand, and any other residue. Step 3: Sand area smooth. Step 4: Apply heat to the surface with a acetylene torch or blow dryer until the surface is hot. Step 5: Position sticker and smooth out carefully. You may apply one more blast of heat and smooth the sticker again. These steps can be accomplished in 10 minutes and will greatly increase the durability of your stickers. For support with sticker application or if you need more stickers, email . 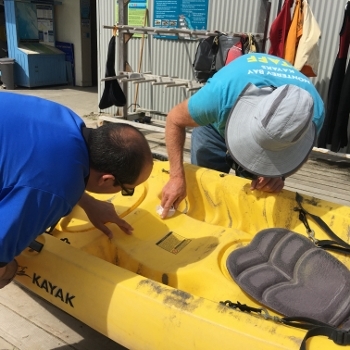 Special thanks to the staff of Monterey Bay Kayaks for testing, evolving, and sharing these methods!